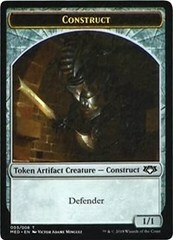 Card Text: [+1]: Create a 1/1 colorless Construct artifact creature token with defender. [-1]: You may sacrifice an artifact. 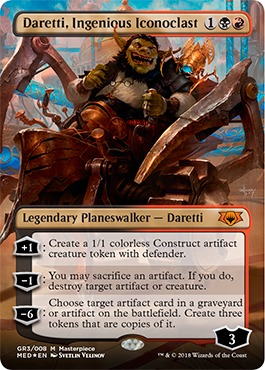 If you do, destroy target artifact or creature. [-6]: Choose target artifact card in a graveyard or artifact on the battlefield. 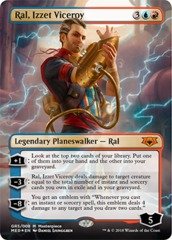 Create three tokens that are copies of it.